The SnowOFF Windshield Snow Cover will make your life so much easier on chilly Winter mornings. NO MORE SCRAPING and BRUSHING with frozen fingers and hands. Just peel back the car cover and shake it out for a clean, frost free windshield. This is the perfect car accessory for everyone. 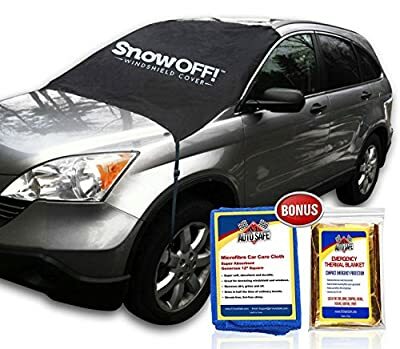 EASY TO APPLY - It takes just a couple of minutes to unfold your SnowOFF car windshield cover across your front windshield. Secure by attaching the suction cups to the inside front windshield, then shut both doors. 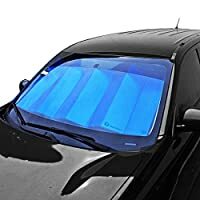 This makes a smooth and close fit to the outside of your windshield so less chance of frost and ice build up underneath. NEW LONGER SKIRT covers the wiper blades, washer fluid sprayers and engine well on most cars. 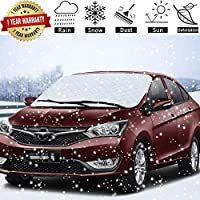 This prevents encrusting of ice and snow on rubber wiper blade edges which cause cracks, rips and tears. 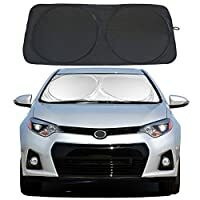 - Medium for Cars and CRVs Fits Windshield Size up to 50 inches high x 62 inches wide + wings. 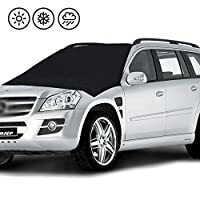 - Large for SUVs, RVs and Truck Cover - Fits Windshield Size up to 57 inches high x 74 inches wide + wings. 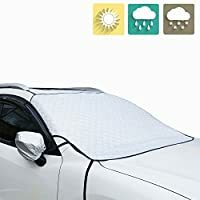 CUSTOMER SATISFACTION GUARANTEE- Made from tough weather resistant fabric, your waterproof car cover comes with a Customer Satisfaction Guarantee. 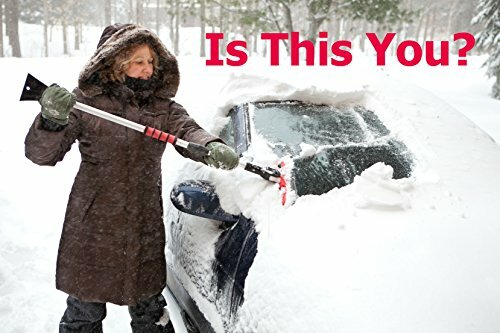 Order NOW and wave to your neighbors left scraping and brushing away snow as you drive off with your clean ice free windshield.